Eltronicschool. - EasyEDA is a free EDA tool for individuals and working in a web browser, it requires no any installation. It was designed to provide electronic hobbyists, engineers, teachers, students ... an easy and free access to the EDA. 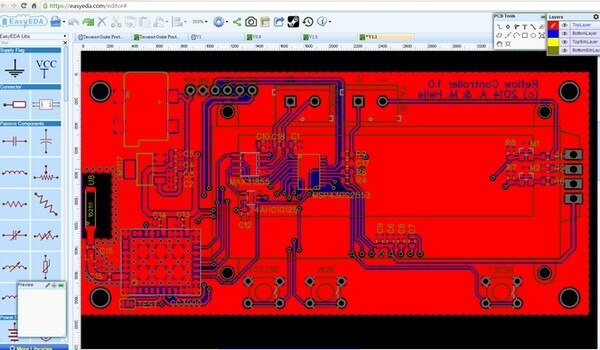 With EasyEDA, powerful schematic capture, mixed-mode spice simulation and PCB layout are made in your web browser. EasyEDA has all the features you expect and easily take your design from conception through to production. EasyEDA aims to bring every electronic hobbyist an easier EDA experience. That’s why EasyEDA comes to the world and named EasyEDA. 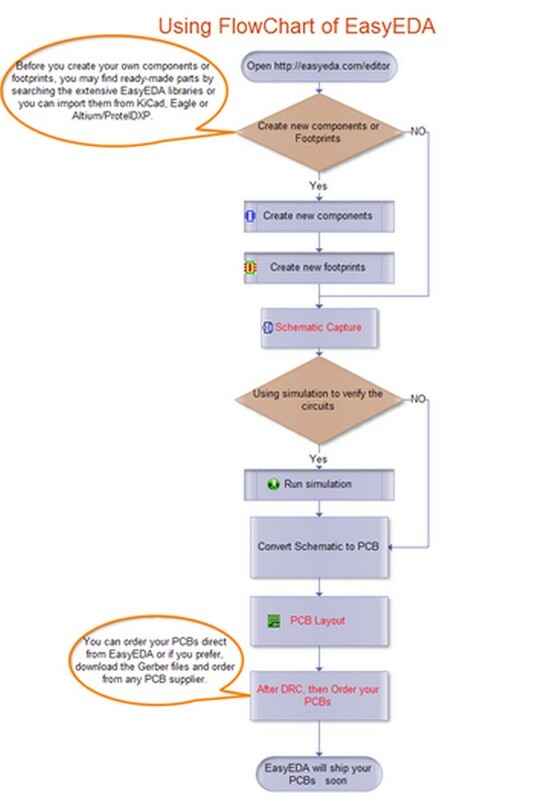 Here is how EasyEDA introduces its online PCB creation tool. Draw diagrams quickly in your browser using the available libraries. The updates will be applied automatically. Check analog, digital and mixed circuits with sub-circuits and SPICE models! With multiple layers, thousands of blocks, you can always work quickly and smoothly arrange your cards.